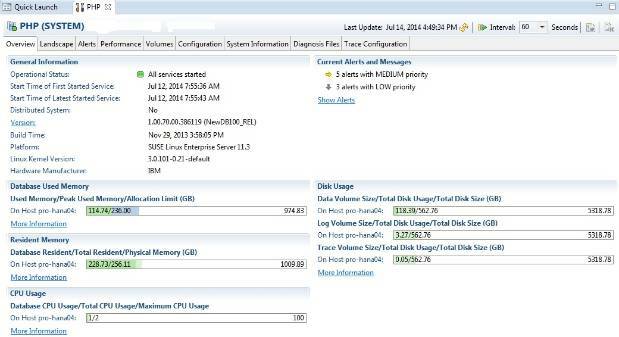 Basically the migration to the new HANA server is done via a backup/restore. Difficult part was that this HANA server got its data from SAP ECC via a SAP SLT server. So replication and database triggers should be taken into account when switching over. Below the steps will be described in more detail. After this, stop the load jobs. SAP transaction LTR on SLT server. 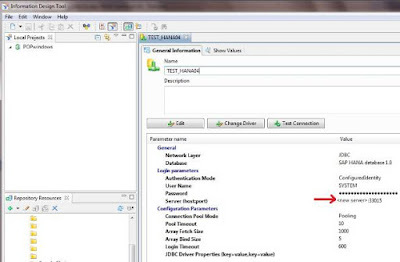 Then click on the schema name. 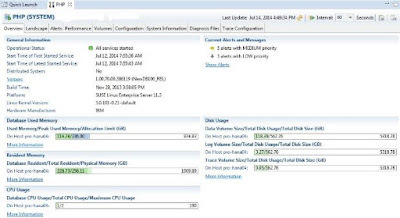 Perform a manual back up via the HANA studio. We used SFTP to copy the files. We will not go into detail of this as this document focuses on the move and not on the installation itself. 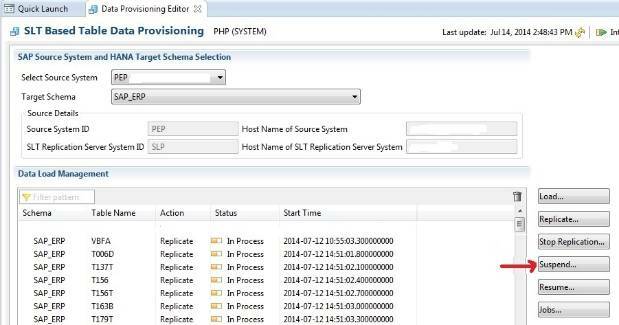 Perform a manual restore via the HANA studio. 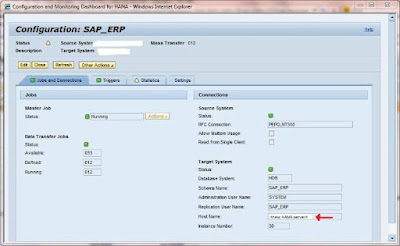 Right click on the HANA system in the left side pane and choose recover. It will ask to stop the HANA database. Choose destination type is File. And specify the backup location. 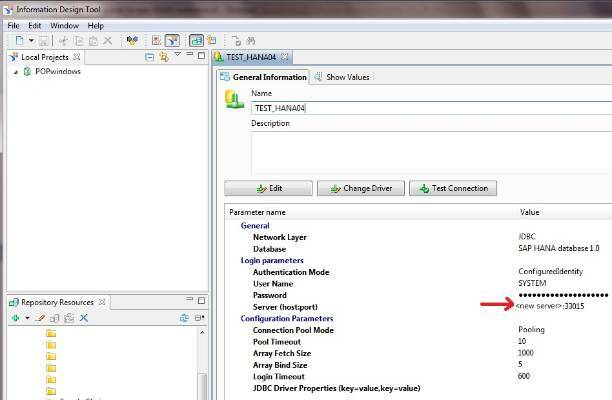 At the end of the restore we installed a valid license key so that HANA is started without issues. And also from this screen check alerts-tab. 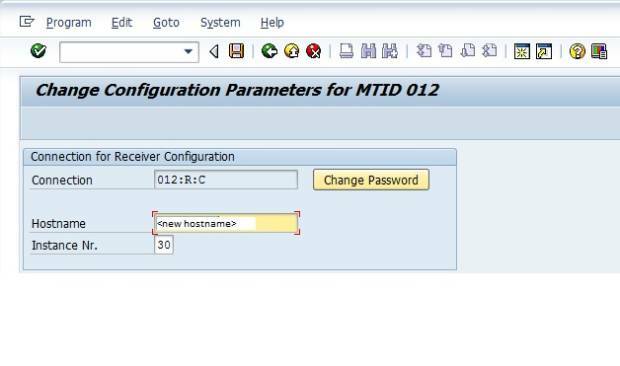 Check on SLT server if the hostname is changed via transaction LTR. In our case the new hostname was not shown correctly! We created an OSS call for this and it turned out that the change was successful but that this screen was not updated successfully. SAP will create a new OSS note to solve this issue in the future. But it was just a display issue and the change of the hostname was successful. To be sure the change is successful check the content of table DBCON on the SLT server. The new hostname should be there. We first wanted to test a small new table before we turned on replication for the old tables. 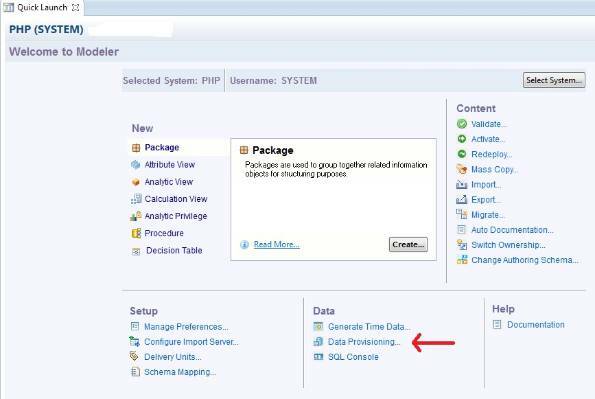 In HANA Studio > Data Provisioning we added a small new table. The replication was started normally without issues. 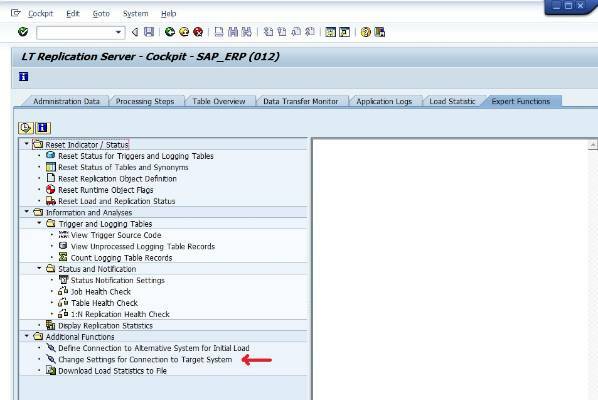 The log table and database trigger was created and entries were moved via SLT server to HANA. In step 1 we suspended the replication of tables. No we turn it on again. 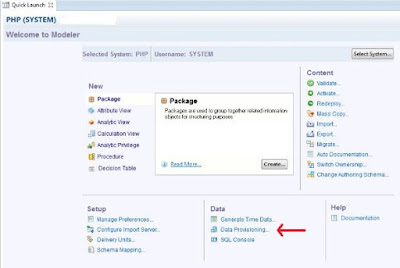 The BO server is connected to the HANA server. On two places we need to adjust configuration settings to the new hostname. In CMC > Applications and right click on Explorer > Properties. Second in the Information Design Tool (client tool) the connection to HANA can be altered. The new connection(s) can be tested and after wards published. This step is really customer specific. For this customer we ran basic reports via the SAP portal. 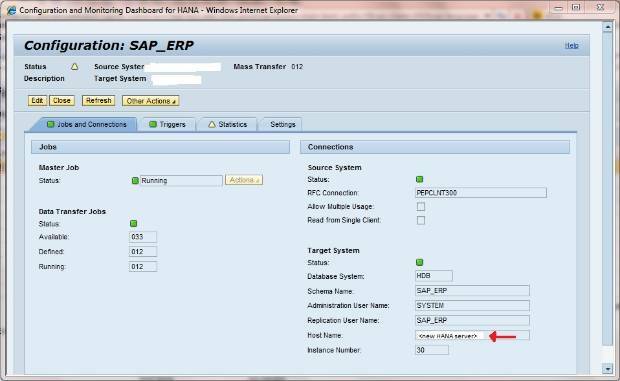 The reports were retrieved from SAP BO and this data was from HANA. Also this step is customer specific. The functional consultants and the users perform specific tests at this point.